In 1942 all four of William and Margaret Ryan's sonsDaniel, James, Peter and Seanenlisted in the United States Army. Although they were originally all in the same company of the 29th Infantry Division for a period of time, the four brothers were reassigned to different units following the loss of the Sullivan Brothers in November of 1942. 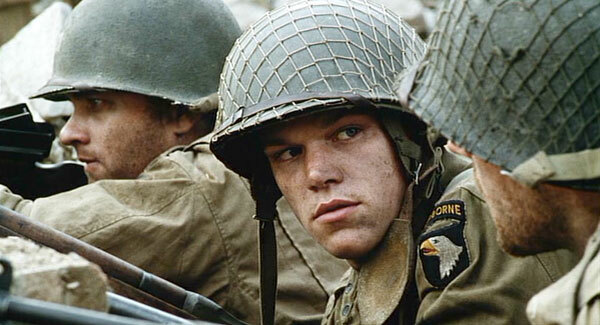 James, the youngest of the brothers, qualified as a paratrooper with the 101st Airborne Division and participated in Operation Overlord on June 6, 1944. Like many of his fellow paratroopers, Ryan's stick was dropped about 20 miles from its planned drop zone, and Ryan ended up near the town of Neuville. Setting out for his unit's rally point, Ryan eventually joined a group of paratroopers who were assembled to defend a bridge over the Merderet River at Ramelle. On June 13th, while scouting near Ramelle for Germans, Ryan and two other paratroopers encountered a group of Rangers led by Captain Miller. Ryan was stunned to learn that all of his brothers had been killed in action recently, and that Miller and his Rangers had been sent to retrieve him so that he could return to the States. It was Miller's turn to be surprised when Ryan refused to leave his comrades, who had strict orders to defend Ramelle's bridge. The Rangers decided to stay behind and help the paratroopers, although Miller took care to keep Ryan close to him during the battle for Ramelle. Having already lost two of his men while searching for Ryan, Miller had no intention of letting Ryan get himself killed. Ryan did survive the ensuing battle, which was won with the assistance of air support and the arrival of other Allied troops, but Miller and most of his Rangers were killed. 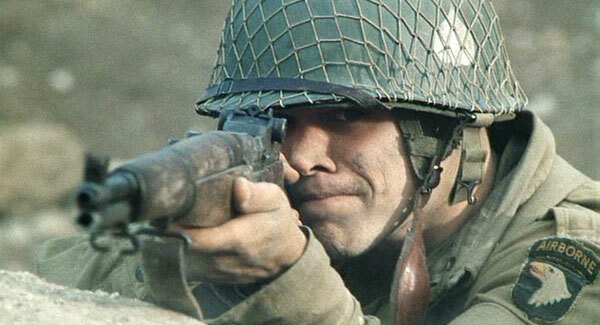 The dying Miller's last words to Ryan were, "Earn this." 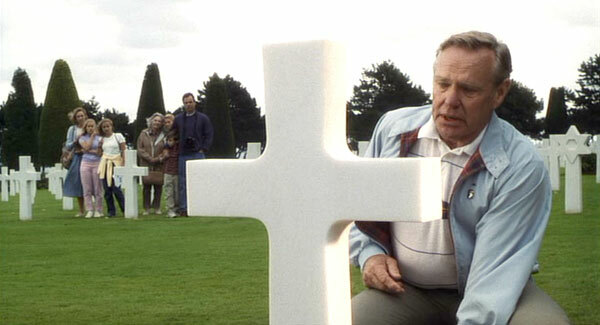 Ryan would never forget the sacrifice made by Miller and his men, and as an elderly man he visited Miller's grave at the Normandy American Cemetery and Memorial in France. 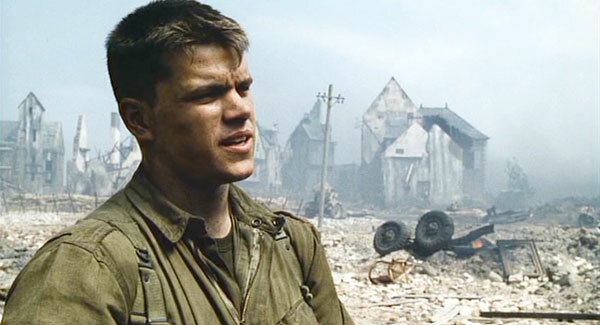 Matt Damon is one of the most sought-after talents in the industry today. This year, he won an Academy Award for Best Original Screenplay (with Ben Affleck) for the acclaimed drama "Good Will Hunting." Damon also earned an Academy Award® nomination for Best Actor for his work in the title role. In addition, he and Affleck received a Golden Globe Award for their screenplay, and Damon garnered a Golden Globe nomination for his performance. 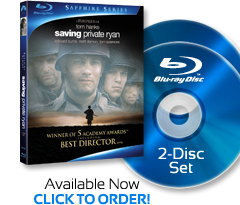 The film also received seven more Oscar® nominations, including one for Best Picture. 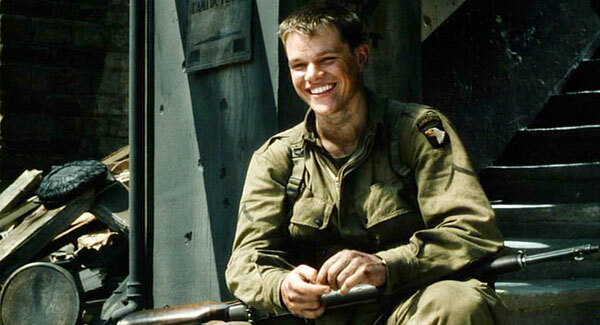 Since "Saving Private Ryan," Damon has completed a starring role in John Dahl's "Rounders," opposite Ed Norton, and a supporting role in Kevin Smith's "Dogma," with Chris Rock, Ben Affleck and Linda Fiorentino. He is next set to star in the title role of "The Talented Mr. Ripley," to be directed by Anthony Minghella, and will then star in "All the Pretty Horses," for producer Mike Nichols and director Billy Bob Thornton. 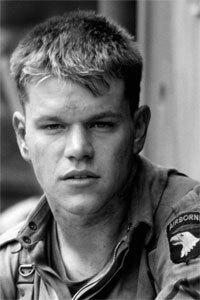 Damon previously delivered a compelling portrayal of a guilt-ridden Gulf War veteran haunted by a battlefield incident in "Courage Under Fire," starring Denzel Washington and Meg Ryan. Last year, he starred as an idealistic young attorney in Francis Ford Coppola's "The Rainmaker," based on the best-selling novel by John Grisham. His other film credits include Walter Hill's "Geronimo: An American Legend," "School Ties" and "Mystic Pizza," in which he made his film debut. On television, Damon was seen in the cable movies "The Good Old Boys," directed by Tommy Lee Jones, and "Rising Sun." 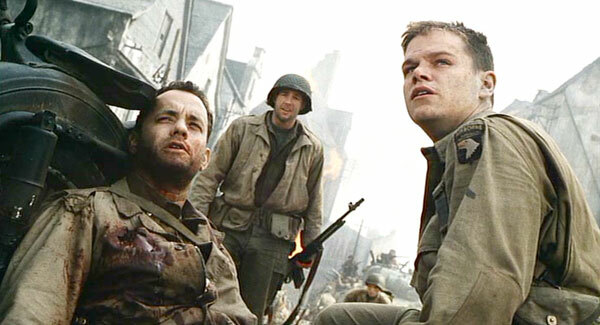 Although Private Ryan indicates that the last time that he had seen all of his brothers was just before Daniel was sent off for Basic training, it is established that they were all assigned to the same unit for a period of time, and a picture of four soldiers, presumably the Ryan brothers, can be seen in the Ryan's home early in the film. There is conflicting information regarding which company of the 506th Ryan is a member of. 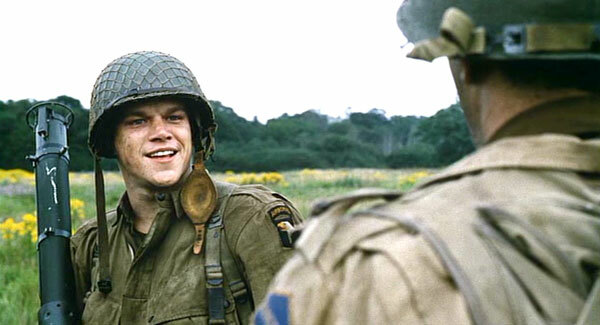 Miller twice refers to him being in Baker (B) company, yet one of the 101st paratroopers in the glider field makes reference to Ryan being in C (Charlie) company. The closed-captioning indicates that Ryan is from "Payton" Iowa, although the novelization lists this as "Peyton." It's not clear if this is meant to be "Paton," which is a real location in Iowa. 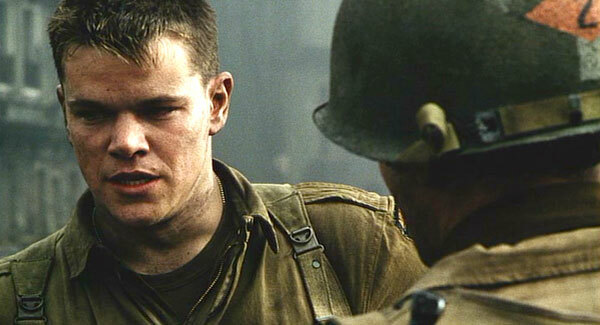 The elderly Ryan is portrayed by Harrison Young, who bears a striking resemblance to Matt Damon.